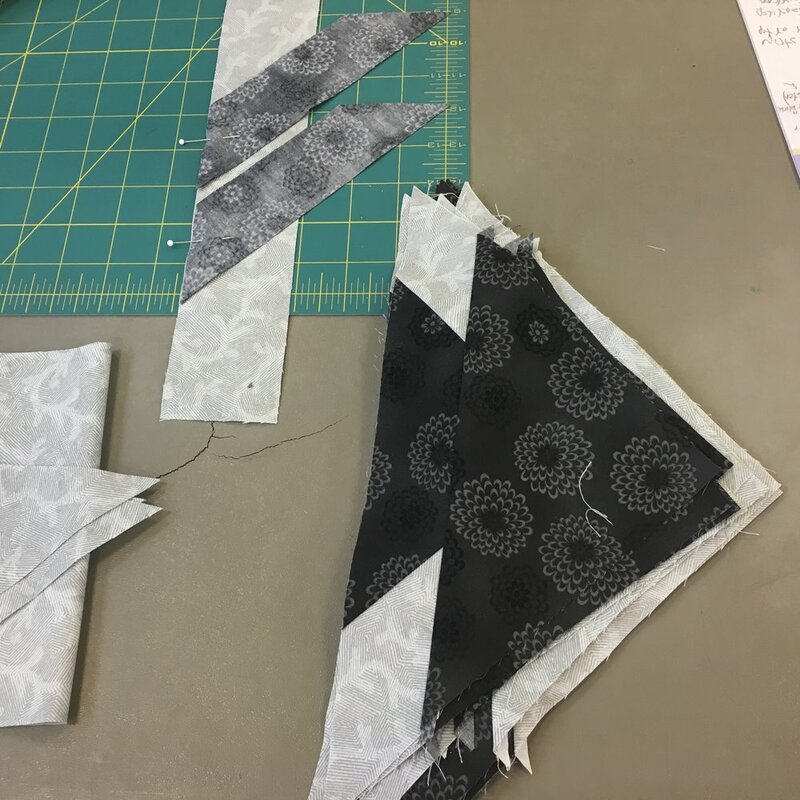 Local modern quilter and long-time friend of Proper Bostonian Quilters, Amy Friend came and gave a trunk show on September 26, based on her book, Improv Paper Piecing. Then on October 20, Amy came back and did a workshop based on the same book. 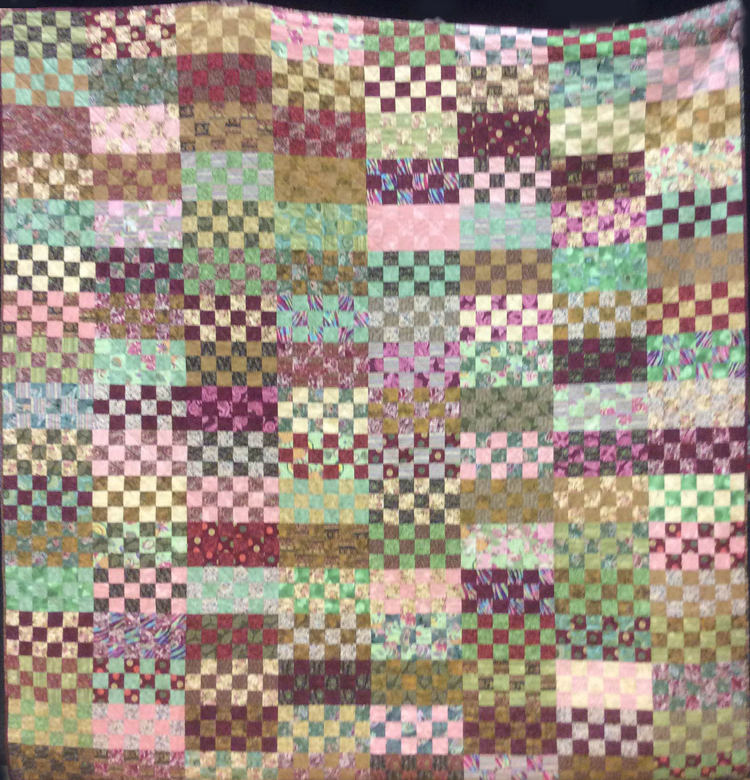 The quilters attending the workshop created their own improv quilt blocks. Amy did bring some open templates which could be used as a starting point, or folks were free to totally design their own. Amy gave the group some very helpful tips on how to paper piece while saving fabric! It was a great workshop. Some of the blocks created are shown above. Below is a photo of Amy at her trunk show. We had a great workshop today with Kathie Beltz today. 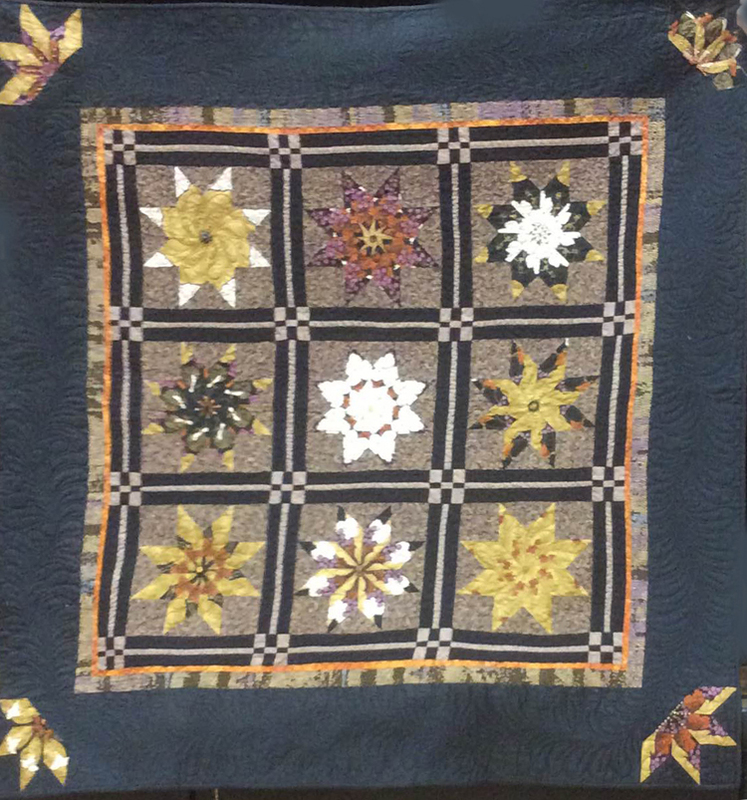 The group used the Deb Tucker "Rapid Fire Hunter's Star" tool to make quilters with Hunter's Star blocks. 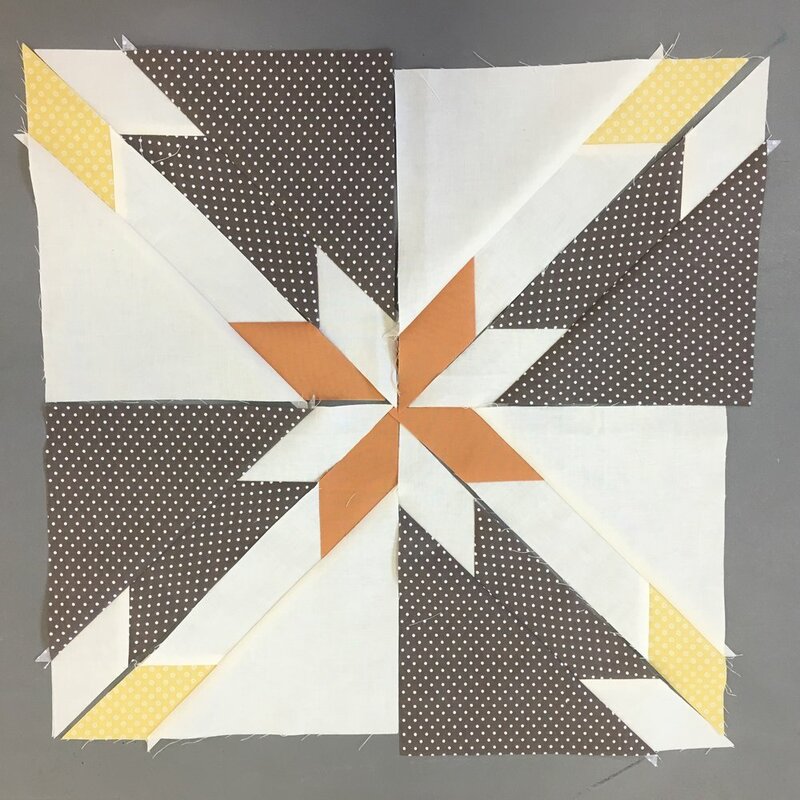 The instructions that come with this tool look daunting but Kathie lead the group through all the steps and it quickly became evident that this template is very helpful and makes beautiful blocks. Here are a just a few of the works in progress. It will be fun to see the all the finished quilts! 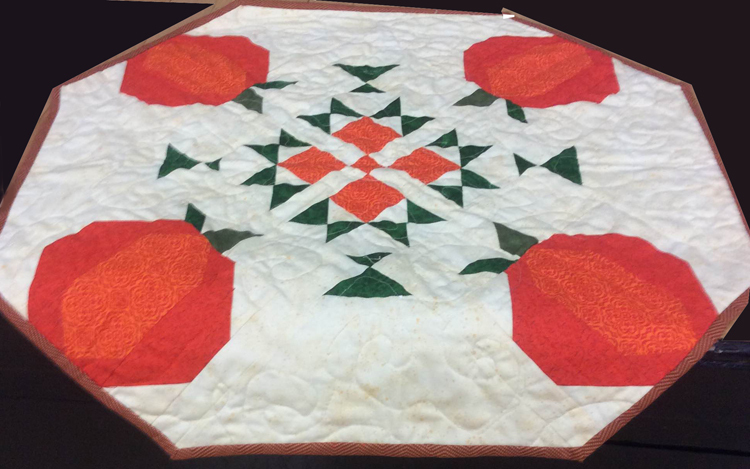 The quilts are on display at City Hall through the month of December. City Hall is open 9-5, Monday to Friday. From the entrance at City Hall Plaza, the atrium is straight ahead, quilts hanging above. The Scollay Square Gallery is to the left from the entrance. "Having these quilts hung throughout City Hall is a great way to celebrate the holidays and recognize a few of the generous people who make the holiday season so special in the City of Boston," said Mayor Walsh. "I encourage everyone to stop by City Hall this month to see the quilts in person." 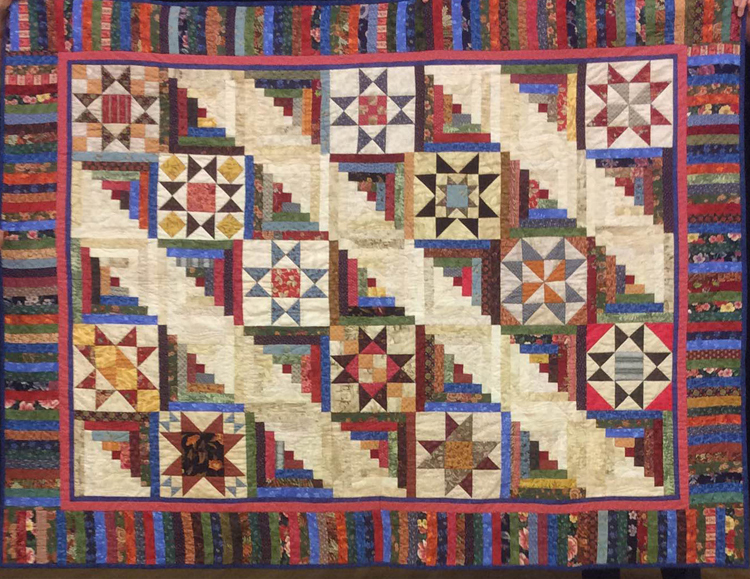 There were 25 quilts in all. 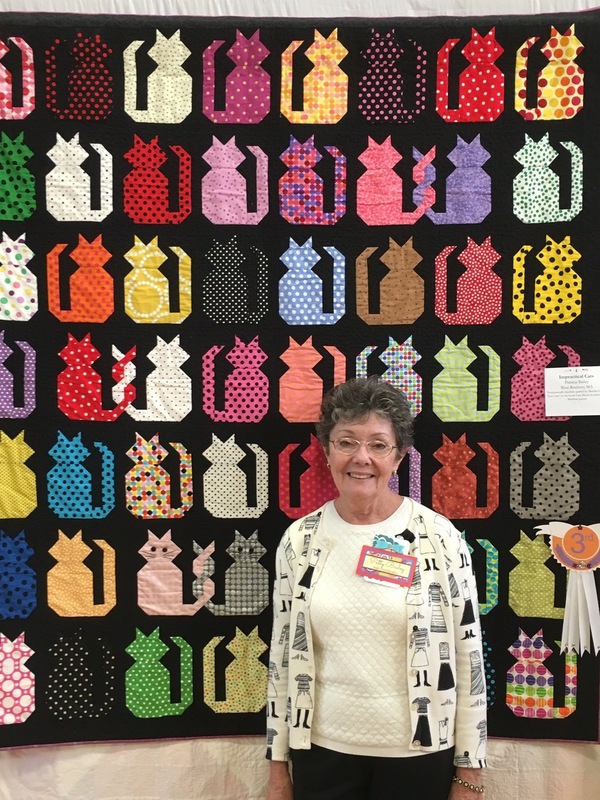 This year's quilt show had so many beautiful quilts! 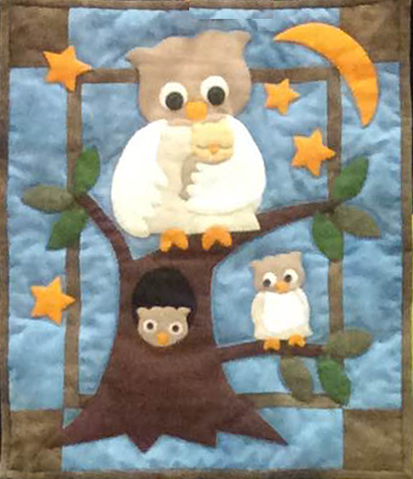 Guild Members and Visitors voted for their favorite quilt. 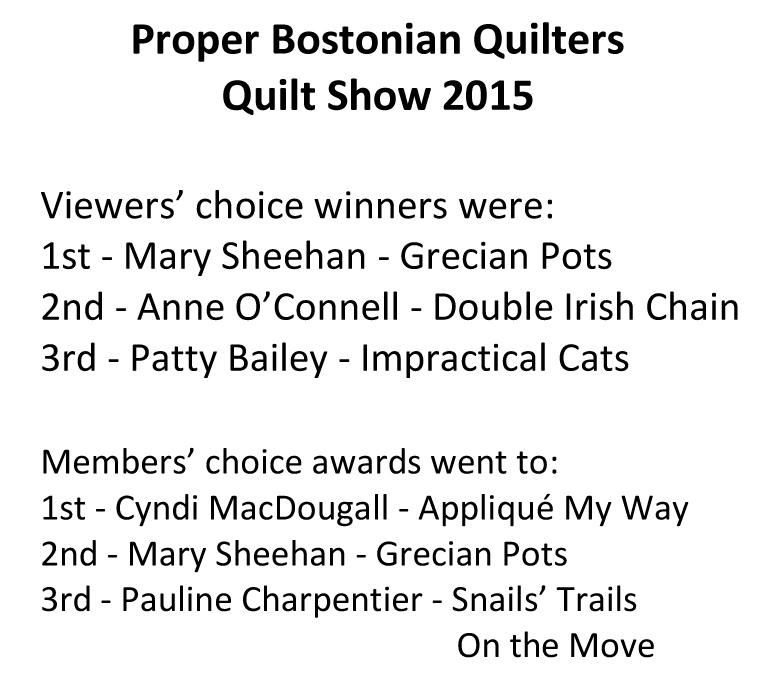 Both the first place quilts were hand quilted! Amazing work! Congratulations to all the Winners!! Your quilts are all fabulous!! "Grecian Pots" Mary L. Sheehan (YES! Mary placed in both votes)! 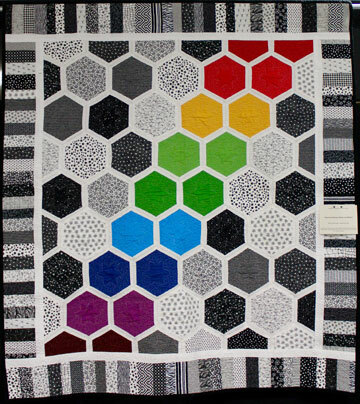 And the lucky, and very thrilled, winner of the king size Raffle Quilt is one of our Members...Yvette Kelliher! This is the Quilt of the Book cover for a book that was just launched in Dublin. The book is WINDHARP, Poems of Ireland since 1916. Published by Penguin Ireland. It is an anthology, edited by my dear friend, Niall MacMonagle, who is described as Ireland's most trusted poetry commentator. It is a lovely book, capturing the history of Ireland throughout the past 100 years. When I saw the cover in June, I told him it would make a great quilt... and thus began my summer adventure! It was at the launch in Dublin, in early September, at the National Library, and is currently in the window at Hodges and Figgis, a bookstore on Dawson Street, Dublin. Proper Bostonian Quilters head northwest to Franklin Pierce University in Rindge, New Hampshire for their annual June quilt getaway. In the shadow of Mt. Monadnock and atop the hill overlooking the shores of Pearly Pond, Franklin Pierce (approximately 60 miles northwest of Boston) is the perfect setting. Quilters set up in the Lakeside Conference Center located adjacent to Pearly Pond. Quilters have individual work stations and share design boards, layout/cutting tables and ironing stations. 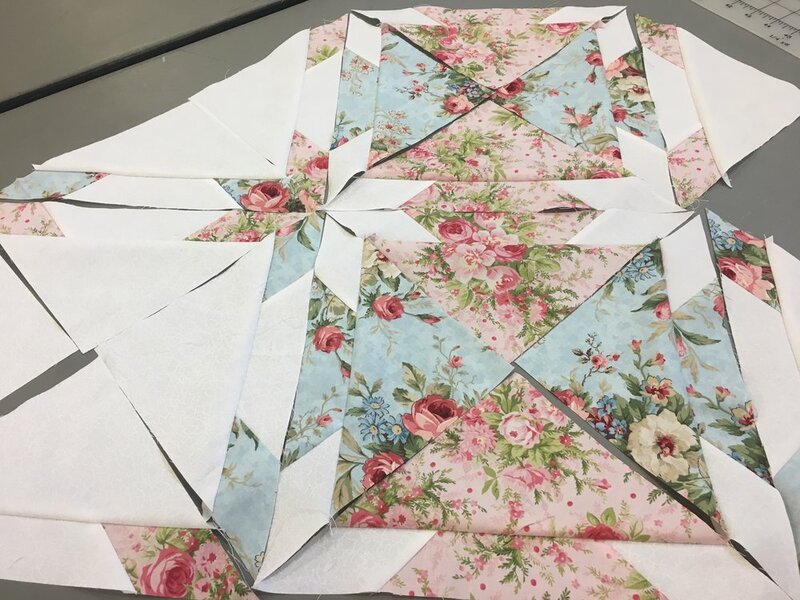 For four days, participants concentrate on creating new or completing unfinished quilts while enjoying various campus attractions away from the quilting center. They can swim, sail, kayak and fish or just take a walk around the campus. The campus athletic center is a short hike up the hill to the main campus. Double-room accommodations are just across the street in Lakeview townhouses that overlook Pearly Pond. Two quilters per room share a private bath. Meals include dinner on Thursday, breakfast, lunch and dinner on Friday and Saturday and brunch and box lunches on Sunday.